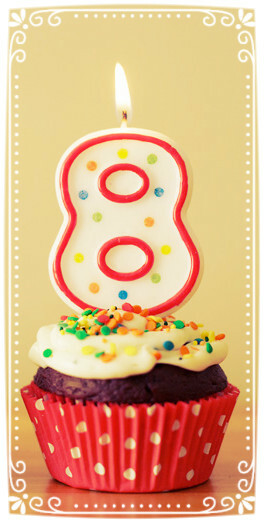 Thank you all for helping us make it to our 8th birthday! We will be celebrating with some special sales on Yoga, Acupuncture, and our store from October 16th-19th. We invite you to our special events, prizes, and cake planned for Sunday October 18. We appreciate each and every one of you and the support you have given us over the years!